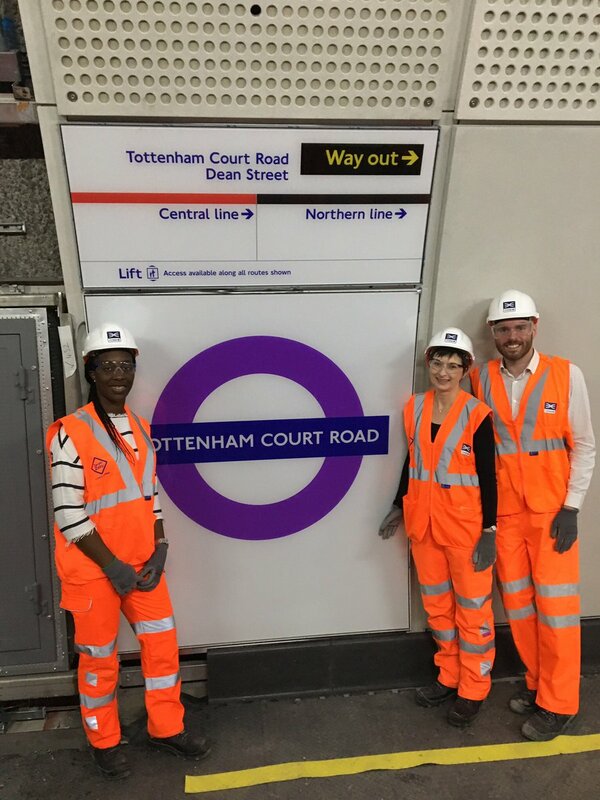 Crossrail misses off the Central Line! Crossrail’s very badly missed off the Central Line on their station line diagrams and there’s just no excuse for it! Here’s the background – yesterday I had just finished my Farringdon Crossrail extra and published it, when in a mater of a short time I started seeing tweets on the same station related to Crossrail! Surely I had not said something wrong…. oh damn! On the Emily Thornberry (and those from Geoff Tech, and others) tweets I found something interesting. 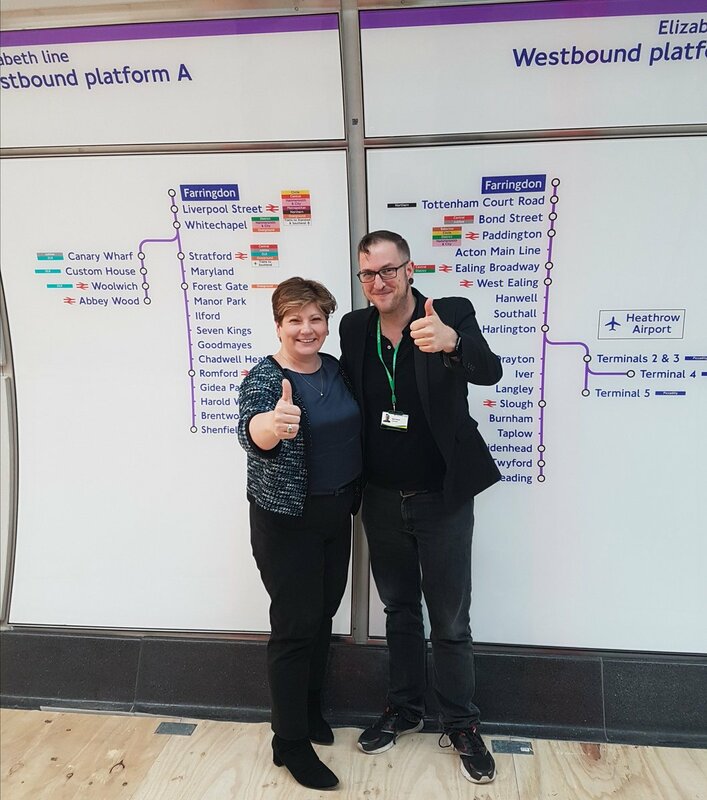 The Crossrail line maps depict Tottenham Court Road (TCR) as an interchange ONLY for the Northern Line! The MP’s picture was much clearer and one could see the whole line diagram for comparison instead of just part of it. Nevertheless I found a much better picture on Twitter showing the line map in its entirety…. The omission of the Central from Tottenham Court Road is clear. The line map is undoubtedly wrong! I had wondered was there some deliberate attempt to ensure people did not change to the Central at Tottenham Court Road for onwards journeys in that perhaps “better alternatives” existed at both Liverpool Street and Bond Street, or perhaps that accessibility at TCR station wasn’t entirely that ideal…. I found one picture that confirms the new line map in question is completely wrong. This picture was taken probably a week before the Farringdon visit on 15th June and shows Tom Cropley and others by the signage at Tottenham Court Road itself. The Central Line is without a doubt depicted. There’s no issues with accessibility either. What does one make of that? The above picture also illustrated another inconsistency in the signage and how Crossrail denotes its stations. Here at Tottenham Court Road its clear its denoted as Dean Street, whilst at Farringdon it just says way out to either Farringdon or Barbican which is simply far too generic. Why would they omit the Central Line from TCR? Surely if passengers were being advised to take the Central to TCR instead, there’s something seriously wrong with that approach because its pushing people onto older, smaller, tube trains through older tube stations – all with quite limited capacity. That is the opposite of what Crossrail is meant to be about, this being a new line known as the Elizabeth – with faster journeys to many parts of London (not always as I found some bits where its slower, but more of that another time if I can put my mind to it!) Crossrail also has far greater capacity than the decrepit old tube system! Quite why they want to push passengers onto the tube when they will offer a better alternative beats me! Okay maybe TfL want people to go to Oxford Circus via Bond Street and not use the Central Line to double back. 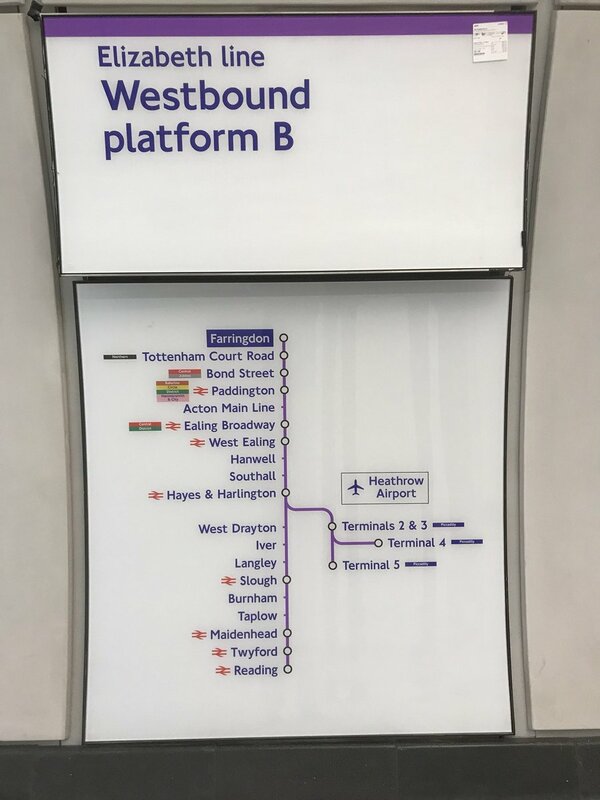 Fair enough but again the line maps don’t indicate this option, being that the Hanover exit from Crossrail Bond Street is just round the corner from Oxford Circus, but anyone taking the Elizabeth Line from Farringdon may not know that can be done. 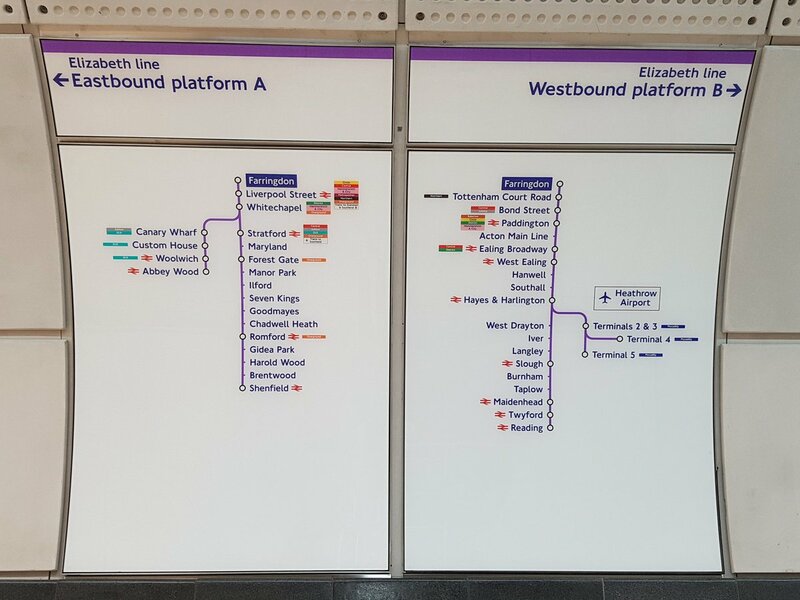 The omission of the Central Line from Tottenham Court Road is a major mistake – these huge Elizabeth Line diagrams are essentially useless and cannot be explained as a tactical move to control/marshal passengers along certain London Underground routes because it just does not work. On the Diamond Geezer comments its being said this is the same as the omission for the Piccadilly Line at Gloucester Road on some maps. No its not the same. Nothing is immaterially being missed out there compared to the Tottenham Court Road omission. BTW I cant wait to see Geofftech’s video on Farringdon which he promises will be along soon. I’m sure the omission of the Central Line will be analysed in that video!